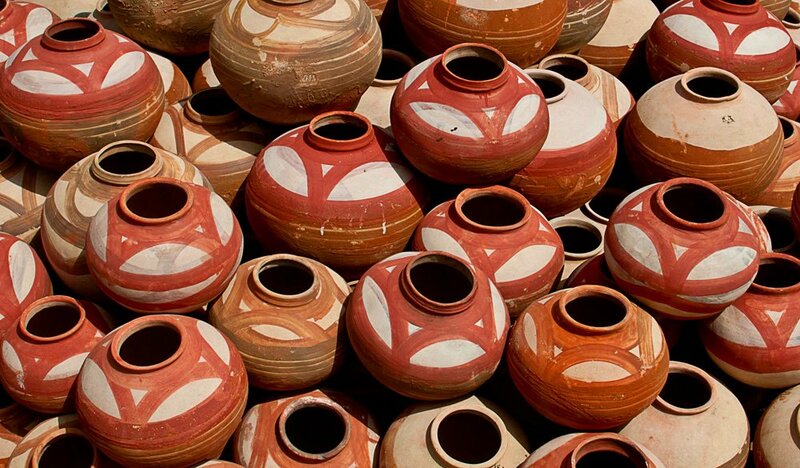 Earthen pots are very much beneficial for health, not just in case of cooking but for water and desi drinks too. How and Why? Keep on reading. 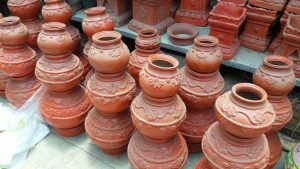 Today numerous types of pots are introduced, but the most opted ones or the most used ones are those which are made of mica, as it is an a insulator and can keep water cool for a longer period of time. These pots can keep water cool in almost every kind of temperature because of its porous nature. These pots are filled with minerals which are essential for human body to charge up with the minerals which gets lost in scortching heat. They balance glucose level in body and prevents it from sunstoke. Consuming this water on regular basis helps to prevent acidity and other gastric problems; minerals in earthen pots makes the water ideal for digestion. Another important point to remember, when you wake up, just have a glass of water empty stomach. It improves digestion and excretion. Not only for digestion but if anyone is having problem in the throat or in breathing then this water will be gentle for them. Water stored in refrigerators are prone to chemicals equivalent to plastic bottles and containers. So, avoid using water from refrigerators to stay healthy.